LONDON—Luxury fashion house Chanel has said it will stop using exotic animal skins in a move that has been welcomed by animal rights activists. The renowned French company has said it will stop producing clothes made from animal fur, as well as skins such as lizard, crocodile, and snake. Head of Fashion Bruno Pavlovsky said it was difficult to obtain such exotic skins ethically, and said Chanel already uses little fur in its products, according to the BBC. 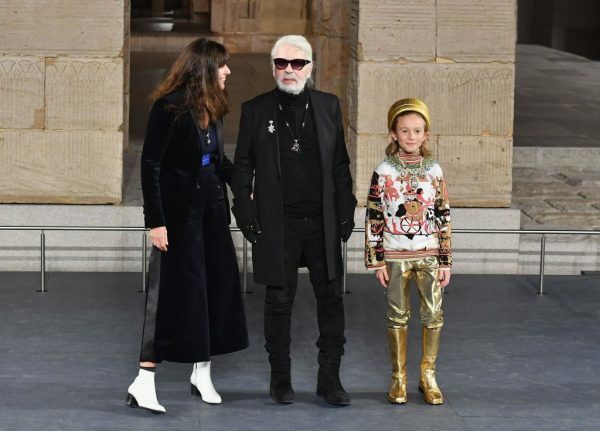 Chanel’s designer Karl Lagerfeld said they had arrived at the decision not because of pressure from animal rights activists. “We did it because it’s in the air, but it’s not an air people imposed to us,” Lagerfeld told fashion industry magazine Women’s Wear Daily. However, the move was still welcomed by rights group PETA, which said in a statement: “The champagne corks are popping at PETA, thanks to Chanel’s announcement that it’s kicking fur and exotic skins—including crocodile, lizard, and snake skin—to the curb. In a previous role as designer for Fendi, Lagerfeld used skins from animals like mole, rabbit, and squirrel. Last year, fashion brand Gucci said it would not use any animal that had been bred or caught for its fur in its products. And in 2016, Armani similarly pledged to end the use of fur, alongside Michael Kors, Versace, Burberry, and John Galliano. But Chanel is the first luxury brand to ban the use of exotic skins, joining labels like ASOS, H&M, Nike, Nine West, and Puma, according to PETA. PETA said that recent advancements in textiles have made faux fur and vegan leather almost indistinguishable from the real thing. “It’s clear that the time is now for all companies, like Louis Vuitton, to follow Chanel’s lead and move to innovative materials that spare countless animals a miserable life and a violent, painful death,” PETA said in a statement. Designer Stella McCartney has long advocated the banning of real fur in fashion, with her fake-fur clothes making waves at the 2015 Paris Fashion Week. This year, none of the London Fashion Week designers used fur in their collections for the first time in the event’s 35-year history.